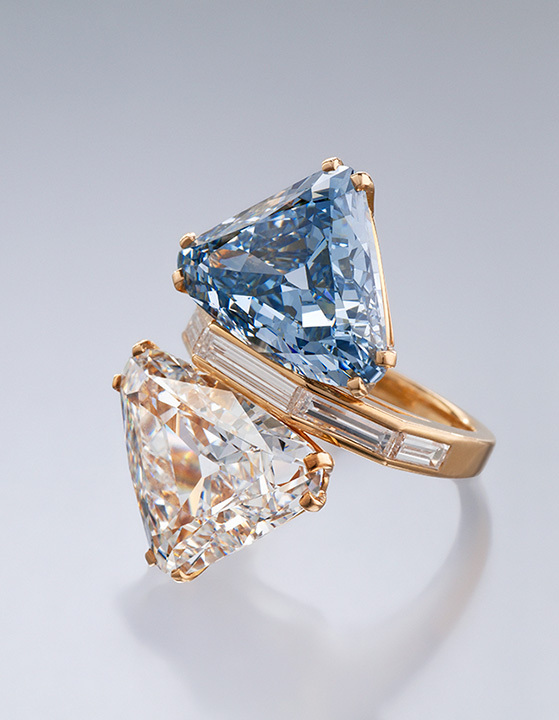 The Hope diamond, the Dresden Green, the Idol’s Eye, the Portuguese Diamond and the Moussaieff Red – these famous diamonds are spectacularly beautiful jewels that have been admired for centuries. An aura of mystery has always surrounded these rare natural wonders, so it was quite an honor when GIA researchers examined them. The Hope diamond. Courtesy of Chip Clark/Smithsonian Institution. The Hope diamond may be the most famous colored diamond in the world. 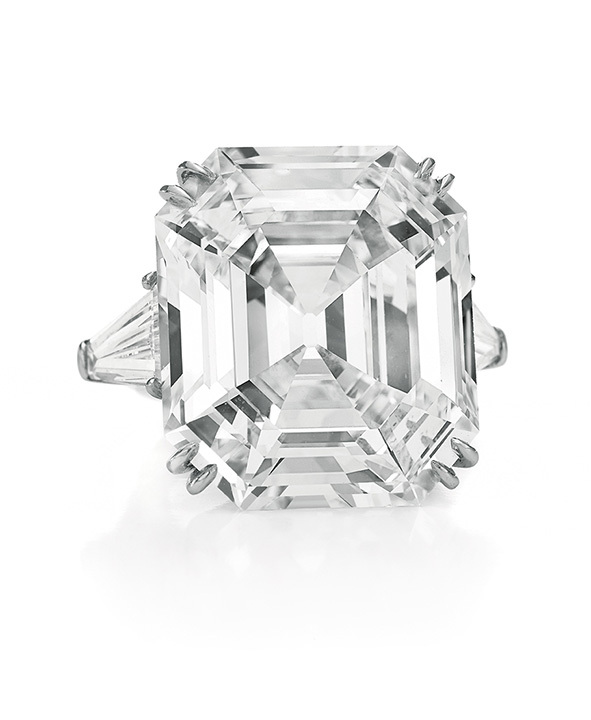 A team of GIA gemologists graded it in 1988. 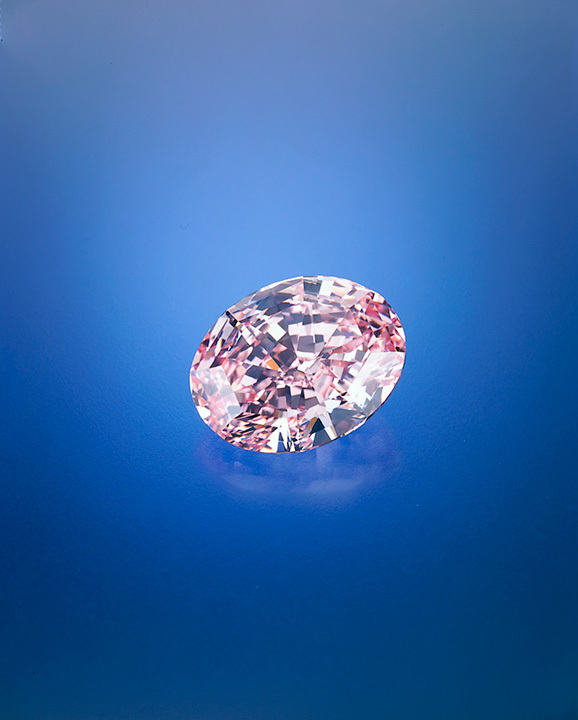 Because they were able to weigh the diamond unmounted, they quickly made a notable discovery: the diamond was 45.52 ct, and not 44.50 ct, which had been its previously recorded weight. 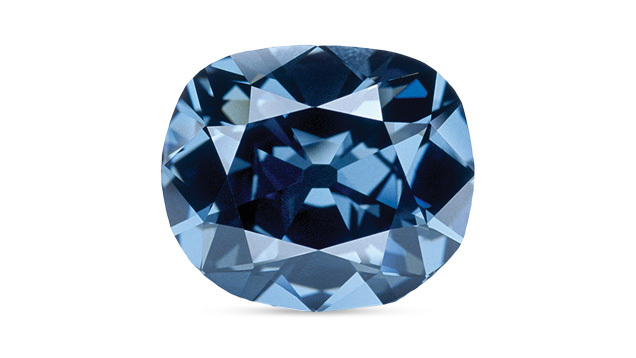 GIA graders also reported that the Hope diamond is a cushion brilliant cut. 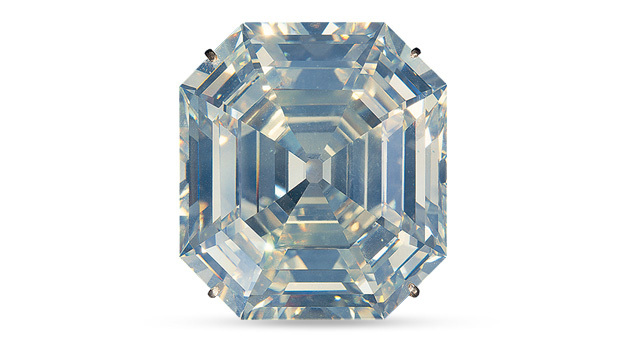 The diamond was color graded as a natural color Fancy dark grayish blue diamond. 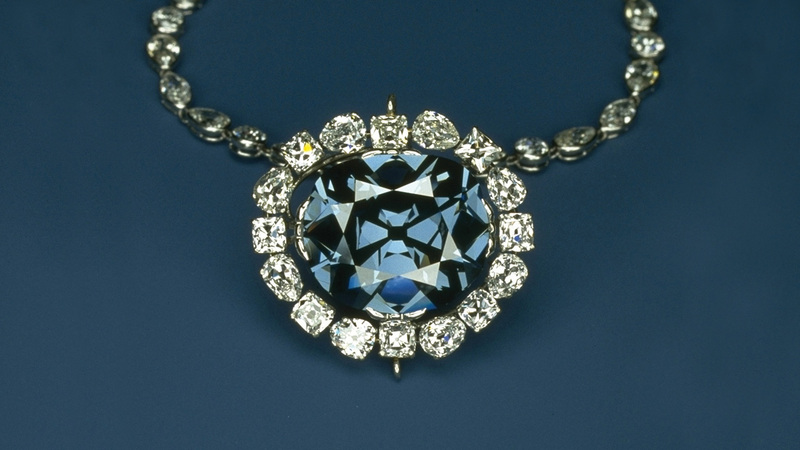 Since the 1800s, the Hope diamond had been described as being flawless. During their examination, the GIA team noticed that the diamond had accumulated a few wear marks over the years and had whitish graining and a few minor feathers. Its clarity was graded as VS1 (Very slightly included). Good polish and Fair to Good symmetry were also noted. 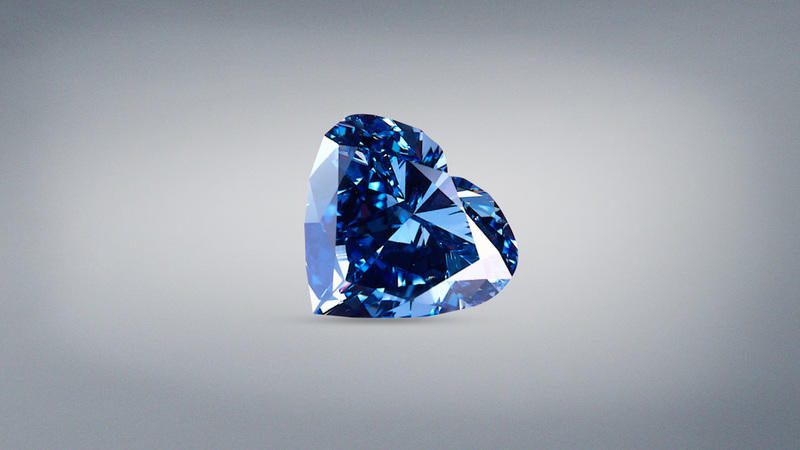 Technical specifications aside, the Hope diamond captivates the imagination like no other gemstone. 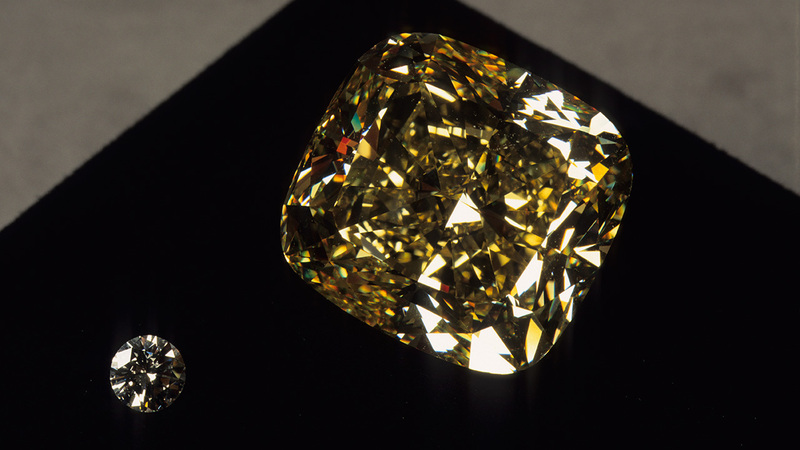 In late 1988, GIA gemologists secured permission to examine the famed Dresden Green diamond in the Green Vaults, which was then in East Germany. They were particularly excited, as it promised to provide insight into distinguishing natural from laboratory-irradiated green diamonds (radiation is usually the cause of color in both instances). 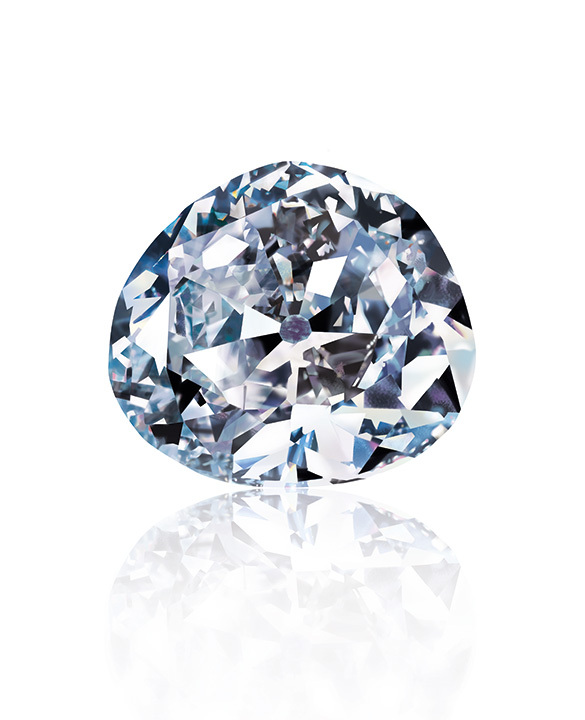 Because the diamond’s history had been recorded since 1741, researchers could be confident that it had not been treated in a laboratory. As the diamond remained mounted upon examination, GIA gemologists were not able to issue a grading report. 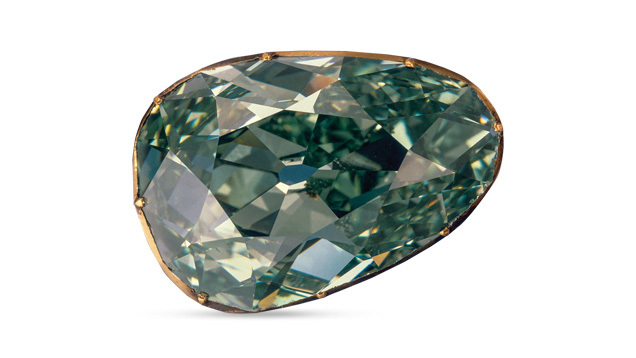 GIA researchers described the Dresden Green as Fancy green, with a modified pear-shaped brilliant cut. The natural green color has medium tone and slightly grayish saturation. The Green Vaults records indicate it weighs 41 ct. The Portuguese Diamond. Courtesy of Harold and Erica Van Pelt. 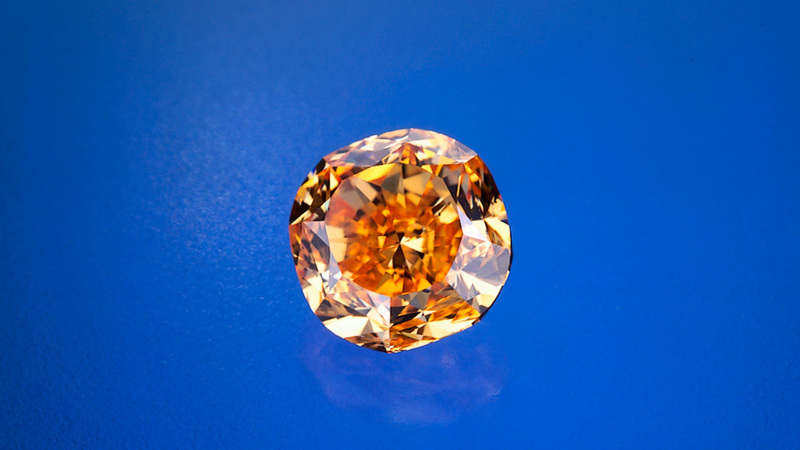 Of South African origin, the Portuguese Diamond weighs 127.01 ct. GIA gemologists graded it an M on the GIA Color Scale, and gave it a VS1 clarity grade because of a small bruise on one of the facets and two very minor scratches on the table. 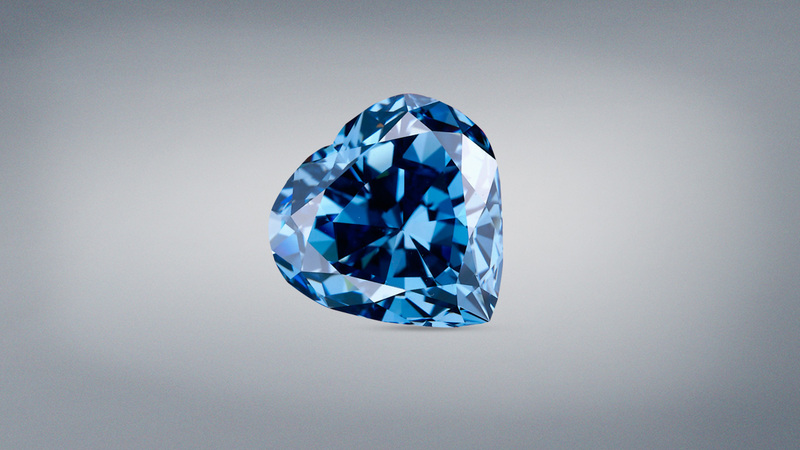 The Portuguese has Very Strong blue fluorescence, and this may help mask the faint yellow color in the diamond. 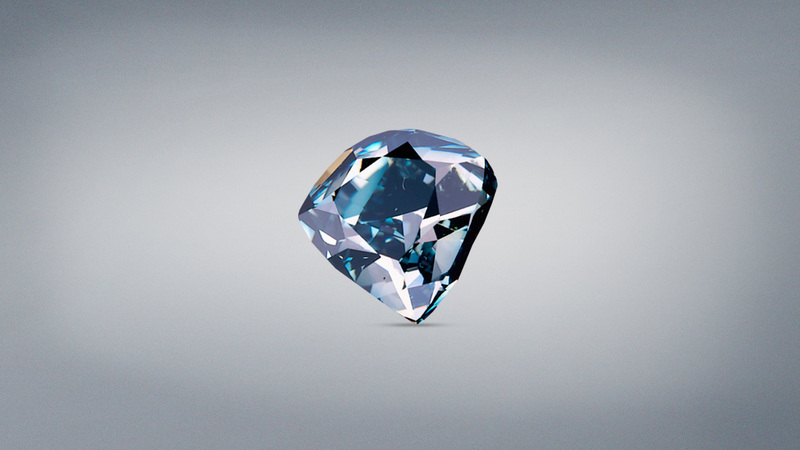 Because the fluorescence is so strong, in 1924 it was advertised by Black, Starr & Frost to be a blue diamond. Idol’s Eye. Courtesy of Graff Diamonds. 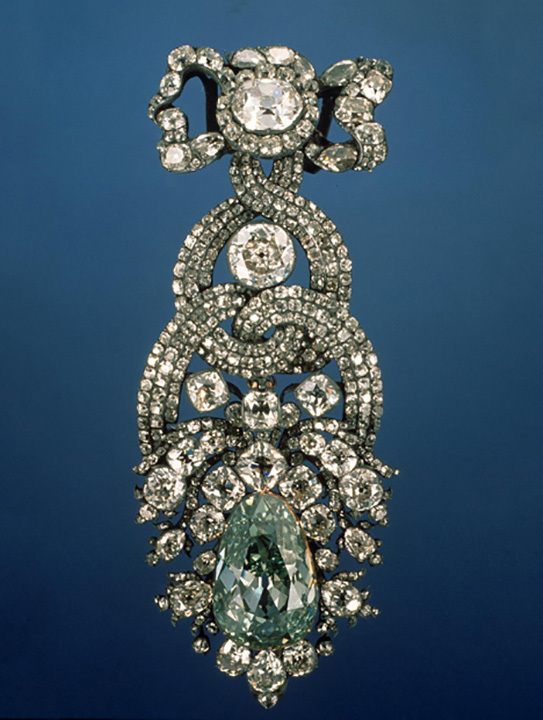 Another famous diamond shrouded in myth, the Idol’s Eye was probably mined in India’s Golconda District – an area famed for producing fine diamonds. 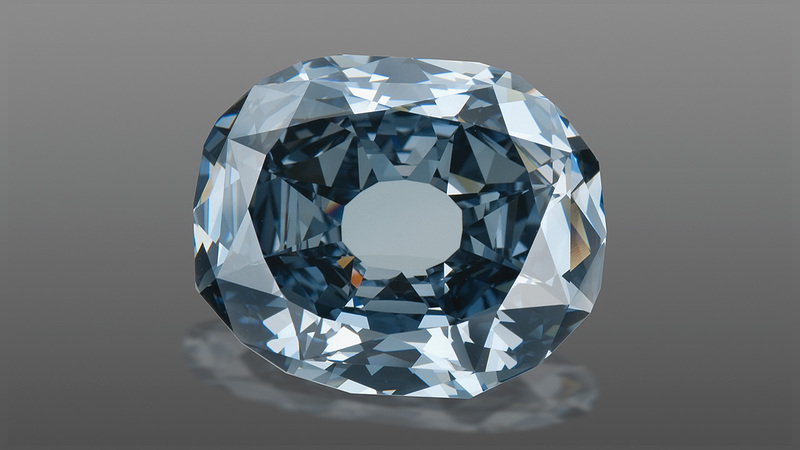 There are many tall tales about the diamond, including one that says the Idol’s Eye is also the Nassak. This has been disproven. The first confirmed documentation of the Idol’s Eye was in one of the lots being sold at auction by Christie’s London in July 1865. 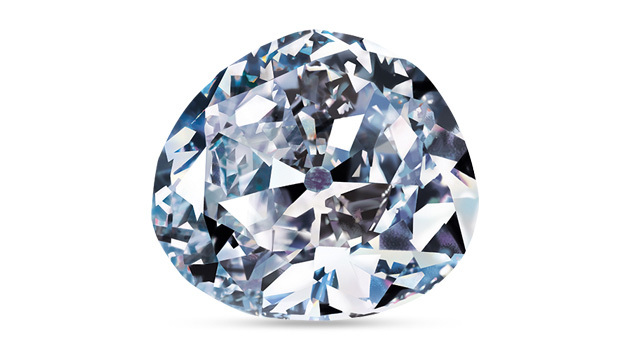 GIA gemologists confirmed that the Idol’s Eye weighs 70.20 ct. Its color grade is Very Light blue and its clarity is VVS1 (Very very slightly included). 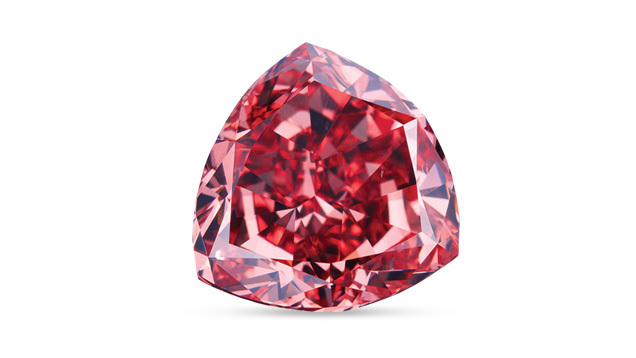 Although the Moussaieff Red weighs just 5.11 ct, it’s a predominantly red diamond (no secondary hues like purple), which means it’s incredibly rare. A description of Fancy red is remarkable. GIA records show that from 1957 to 1987 there was no mention of a GIA report issued for a diamond with “red” as the only descriptive term. 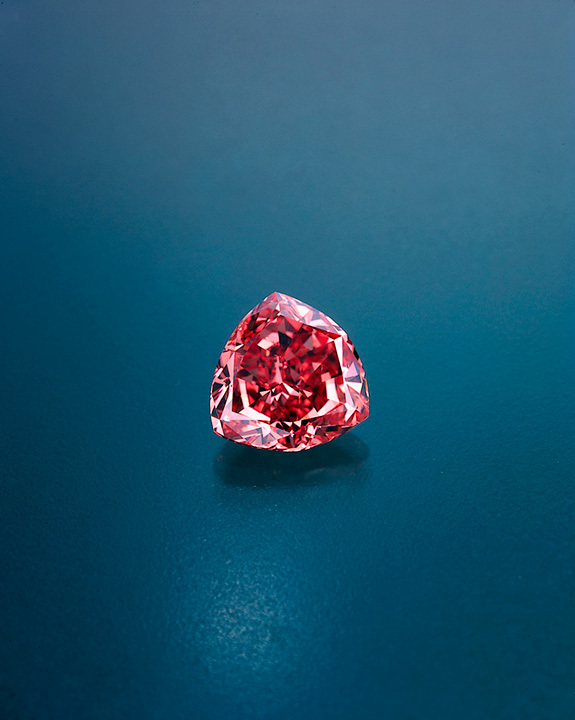 Only a handful of Fancy red diamonds are known, because in diamonds the color red is often modified with another hue, such as purplish red or orangy red. A Brazilian farmer discovered the Moussaieff Red in the 1990s. 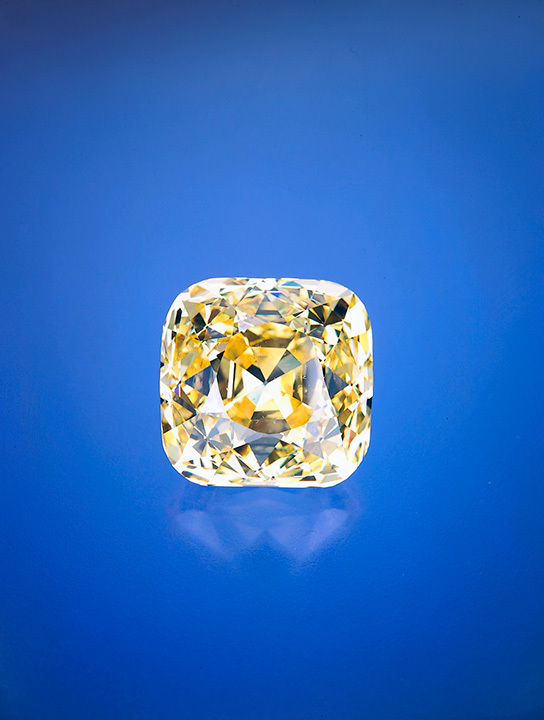 It was cut and polished from a 13.9 ct crystal. 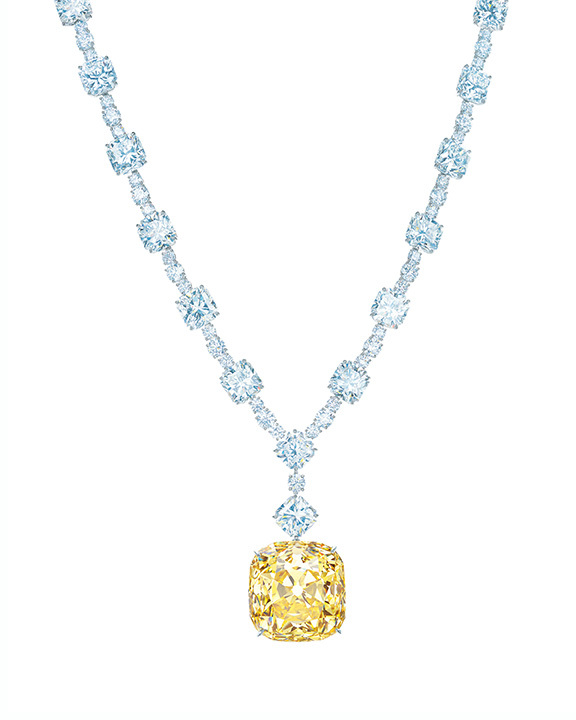 Diamonds sparkle in lace-inspired jewelry. Learn about diamonds in the Graduate Diamonds diploma program. 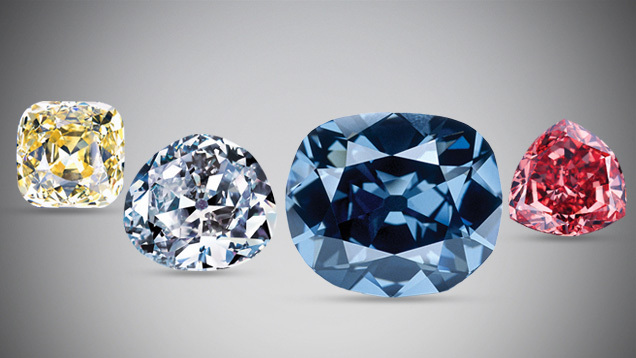 A gemological tour of Sri Lanka’s gemstones. A selection of more than 150 works of jewelry and objet d’art created by 40 AJDC designers.